Jazeman Jaafar is off to Nurburgring for the final round of the Blancpain Endurance Series this weekend and with the Malaysian in title contention, the event is set to be a thrilling conclusion to the season. Jazeman shares driving duties with his regular Endurance Cup team mates, Maxi Buhk and Dominik Baumann and the trio campaign the #84 HTP Motorsport Mercedes AMG GT3. It will be one of four cars that takes the championship title, with the #84 lying third, 13 points behind the title leaders. With 25 points for a race win, the #84 is in with a chance of taking the title, although tough competition from three other manufacturers in the hunt for the crown, Nurburgring will be an exciting event. 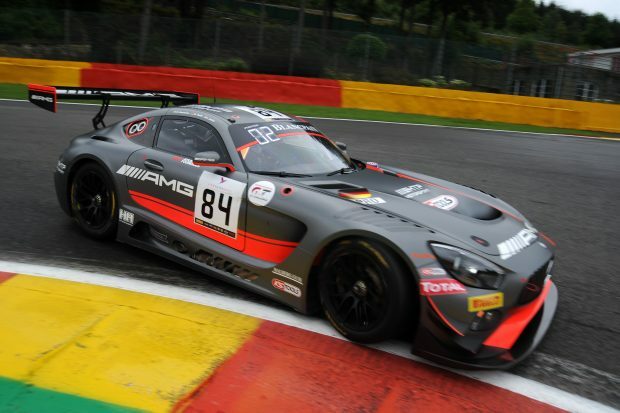 A field of 55 cars will line up for this final round of the Blancpain Endurance Series, a three hour race on the Formula 1 German track, familiar territory for Jazeman who raced at the circuit in the Sprint Series earlier this season. Jazeman, Maxi and Dominik have scored two podiums in the Endurance Series this season, with the first race at Monza netting the trio a second place and the second round at the British Silverstone circuit producing a well-deserved win. The fifth and final round of the Blancpain Endurance Series 2016 starts on Saturday with free practice in the morning and pre-qualifying in the afternoon. The final qualifying session will be on Sunday morning at 08.30 local time with the main race starting at 14.45, finishing at 17.45. The race will be shown live online at www.blancpain-gt-series.com , on Eurosport within Europe and on the Fox Sports Network in Malaysia. Check listings for times.